As part of the 2018 Earshot Jazz Festival, Roosevelt Jazz Band 1 takes to the stage with special guest and Earshot Resident Artist Jovino Santos Neto. 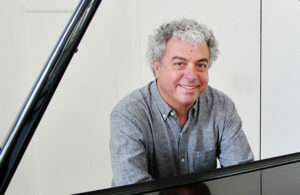 Jovino, a three-time Grammy-nominated pianist, flutist, composer, and arranger, is among the top Brazilian musicians working today. Tickets will be available direct from Earshot Jazz beginning on August 22.